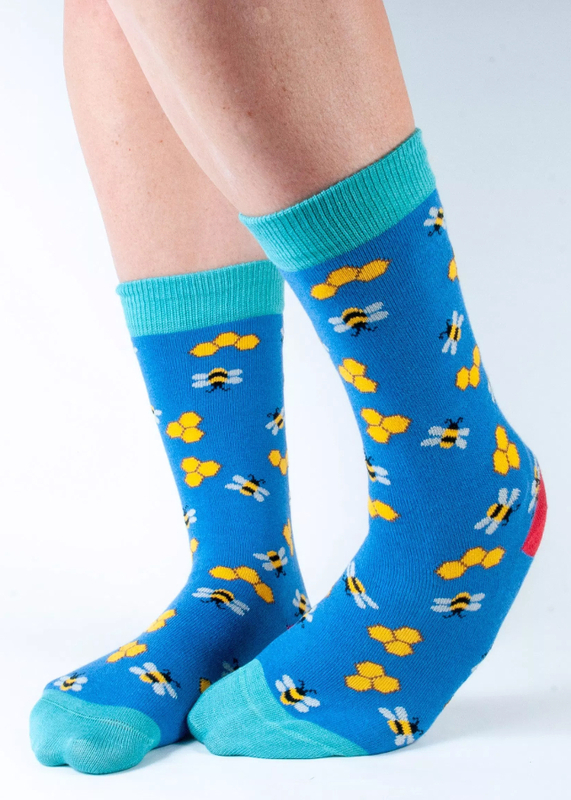 These Doris and Dude socks feature a charming bumblebee design with honeycombs and a red heel that stands out against the blue background. These socks are stylish, but what really makes them shine in the incredibly comfy material used to make them. A blend of organic cotton, elastane, polyester and bamboo fibre makes these socks both comfortable and clean. The bamboo part of the material has great anti-fungal and anti-bacterial properties, which helps make the socks feel breathable and clean, even if you’ve been jogging. The Doris & Dude Women's Blue Bumble Bee Bamboo Socks product ethics are indicated below. To learn more about these product ethics and to see related products, follow the links below. 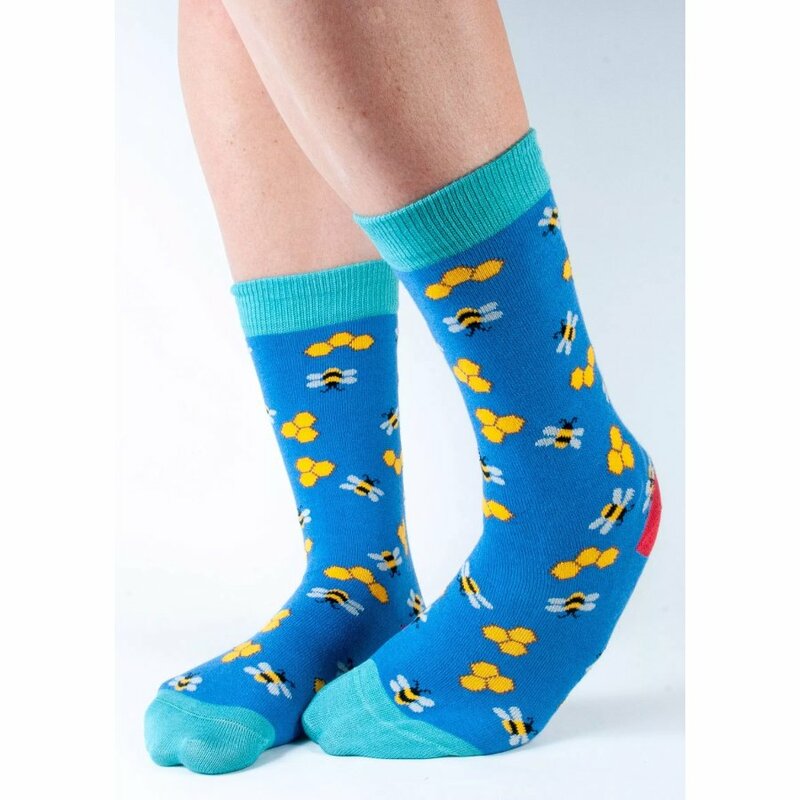 There are currently no questions to display about Doris & Dude Women's Blue Bumble Bee Bamboo Socks.